Forests correlate with better health and lower health spending. Several studies have shown clear benefits to being around or living near a forest. Just a few trees outside a hospital room window improves surgical recovery. Scientists have found a significant link between green space and health. Living near nature, parks, and farms correlates with better perceived health. One of the largest studies on green space and health surveyed over 250,000 individuals in The Netherlands to see whether the amount of "green space" around a person's home correlated with how healthy they felt. People who lived in areas surrounded by more parks and forests felt that they had better health. People with a greener environment within a 1 km or 3 km radius around their homes have better self perceived health than people living in a less green environment. 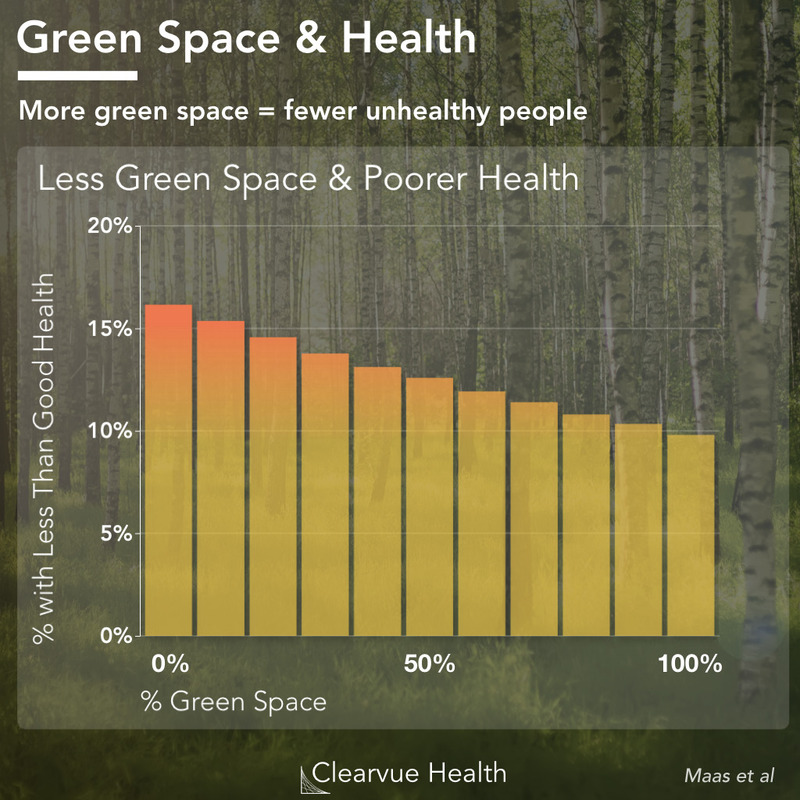 Our analyses show that green space is important in explaining the health differences between urban and rural residents. Furthermore, the analyses show that the amount of green space is more strongly related to perceived general health than urbanity. Green space, urbanity, and health: how strong is the relation? 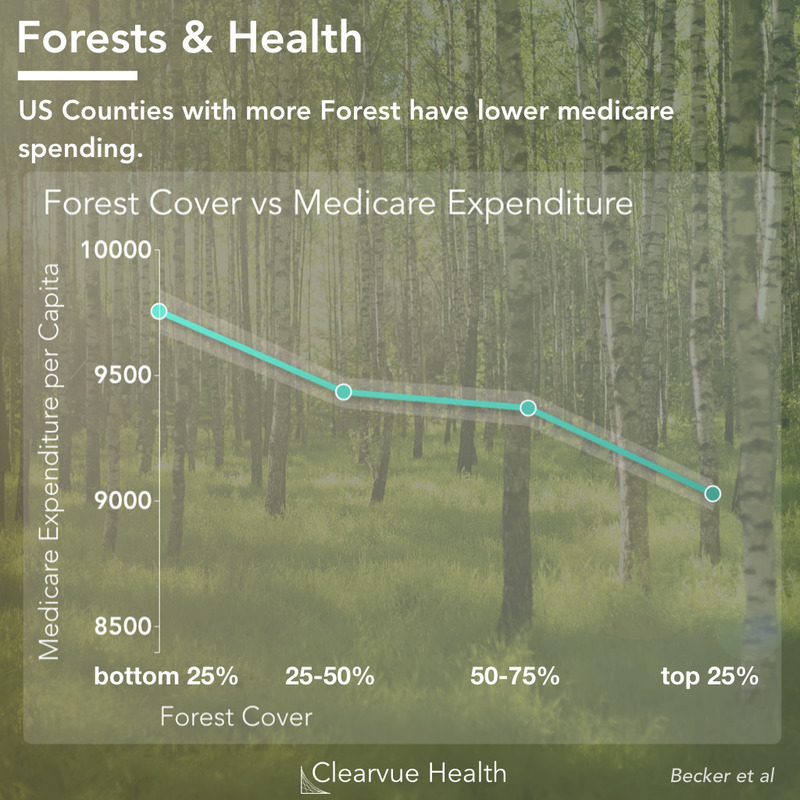 Figure 2: Forest Cover and Medicare Expenditure. Counties in the lowest quartile of forest cover required significantly more medicare spending than counties in the highest quartile of forest cover. One weakness of the first study was that they only looked at how healthy people felt they were. As with any survey, this is prone to bias. Someone who lives near parks may feel healthier than someone who lives next to a nightclub, even if they aren't actually any healthier. A recent study addressed this shortcoming by correlating medicare costs in a county with the amount of forest in a county. They found that American counties with the most forest spent the least on medicare, while counties with the least forest spent the most. This effect was statistically significant even after adjusting for education, income, and air quality. A similar positive effect was seen for shrubs. However, grass land and agricultural land showed no similar benefits. 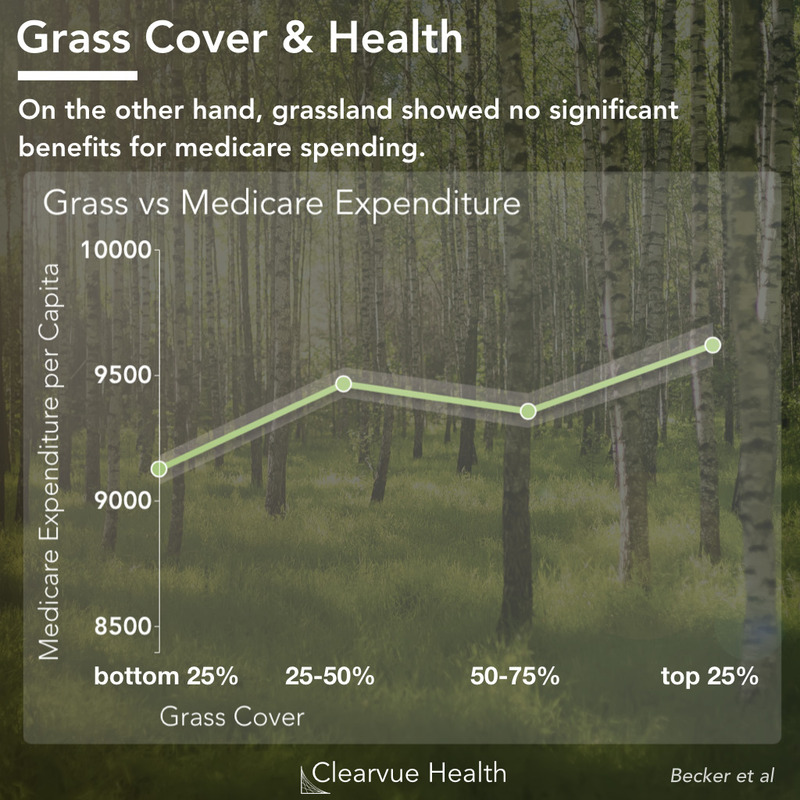 Figure 3: Grass Cover and Medicare Expenditure. American Medicare expenditures provide a great objective estimate of health. All American seniors are covered by medicare. Areas that see more medicare per capita spending have more demand for healthcare. 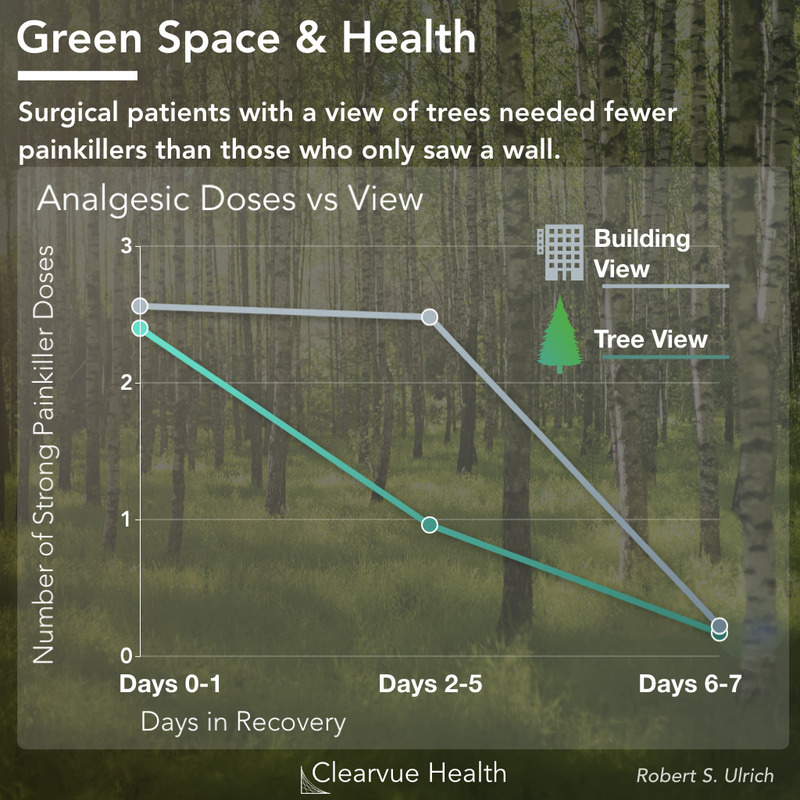 Figure 4: View of Trees and Surgical Recovery. Patients who had a view of trees required fewer strong analgesics. An older but well cited study showed some of the first published evidence for the remarkable benefits of being around trees and nature. The study found that patients with a view of trees outside their window required fewer strong and medium strength painkillers than patients looking at a brick wall. This shows that patients objectively felt less pain if they had a view of nature. In comparison with the wall-view group, the patients with the tree view had shorter postoperative hospital stays, had fewer negative evaluative comments from nurses, took fewer moderate and strong analgesic doses, and had slightly lower scores for minor surgical complications. Source: View through a window may influence recovery from surgery. Based on the data above, it's clear that trees generally correlate with well-being. Part of this effect may be explained by lifestyles in areas with more nature. These areas may have better air, better access to parks, and better opportunities for physical activity. However, other studies such as the surgical recovery study show that there is more to green than just air quality. There is something about being around nature that just helps us feel better. An interesting study looking at creativity foound a similar relationship. 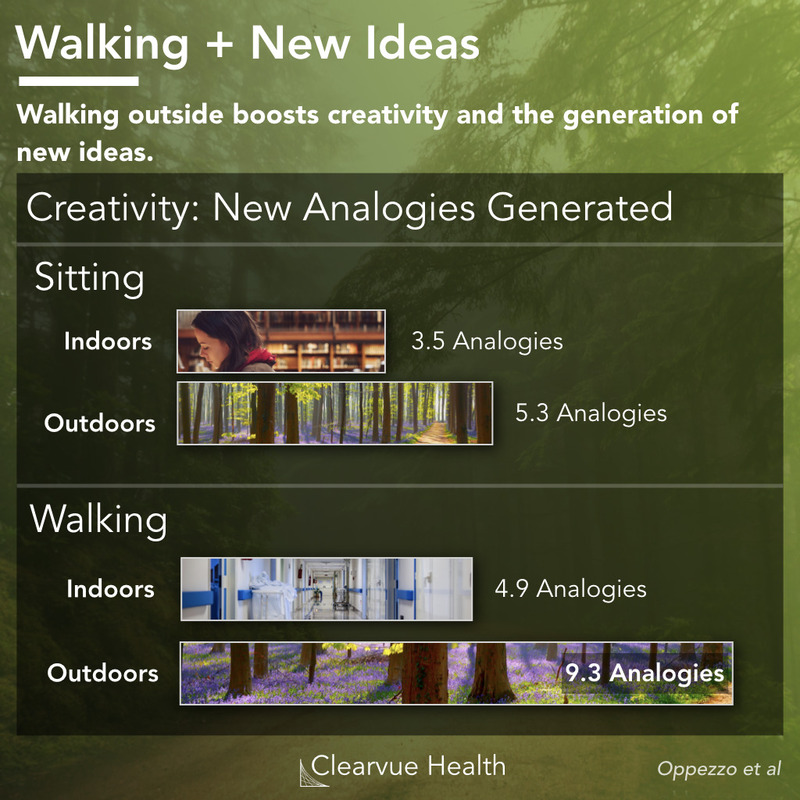 Individuals walking outside were more creative than when they sat or walked inside. 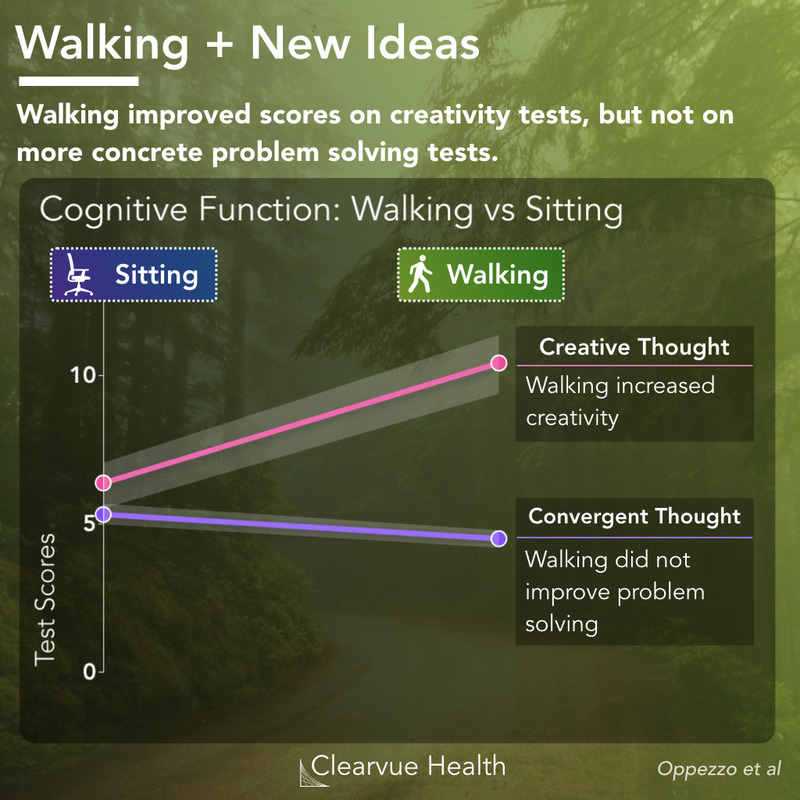 While this wasn't looking at mental or physical health, it does suggest that being around green and being outside may provide a boost for your brain.